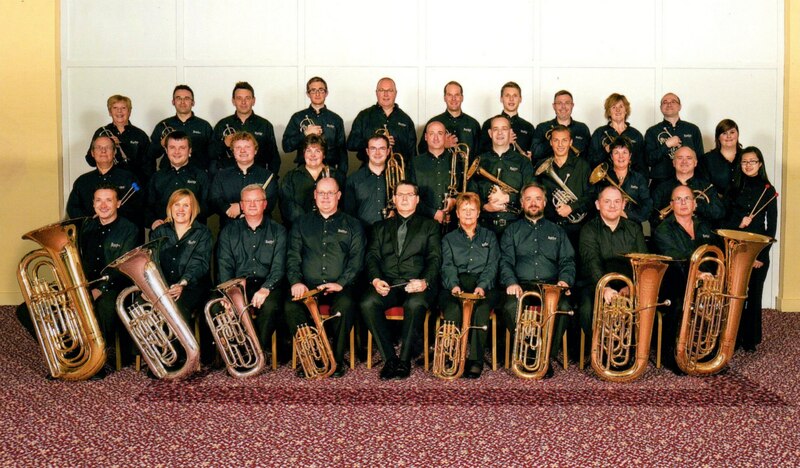 The Ratby Co-operative Senior Band is our organisation’s premier ensemble. 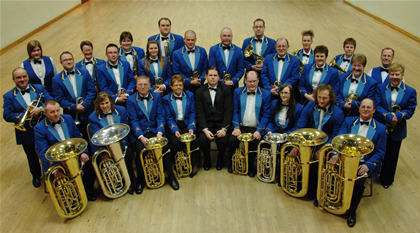 Competing in the Championship section of the national brass band championships, the Senior Band is playing at the highest level in competitions across the country. The Senior Band is a highly versatile ensemble, and is under the professional leadership of organisation Musical Director Michael Fowles. Audiences can expect a wide variety of music from the Senior Band; selections from the shows, film, television, classical settings, swing as well as traditional and contemporary brass band repertoire. There are few musical styles our Senior Band do not perform.The band prides itself on high quality performances, and plays at concert venues large and small, including weddings, charity concerts and festivals. As the original band in the organisation, it was founded in its present form in 1906, although records suggest that a band existed in the village many years before that date. Intense change and improvement took place in the early 60’s under the guidance of then conductor John Bancroft, and the band began to teach more and more local children, this gave added imputes to the bands progress to such an extent that from the fourth section in 1967 they began to rise steadily through the sections until reaching their goal which was the Championship section in 1978. During this period under the baton of Miss Betty Anderson, the band competed at the British Open Championships whilst still graded in the Second section. Ratby are the only band to ever take the stage at the British Open with a female conductor. They have travelled extensively on the continent and have represented Great Britain eight times at the World Music Contest held every four years in Kerkrade, Holland. On each occasion the band has been awarded the Gold Medal, a record for the Festival and on the last three occasions in 1997, 2001 and 2005, they were crowned World Champions of their section attaining the Champions banner and medal of distinction.